because he has been with you. May you seen his mighty hand giving you strength. live to the fullest and keep on track. Thank God for the life you have given me. 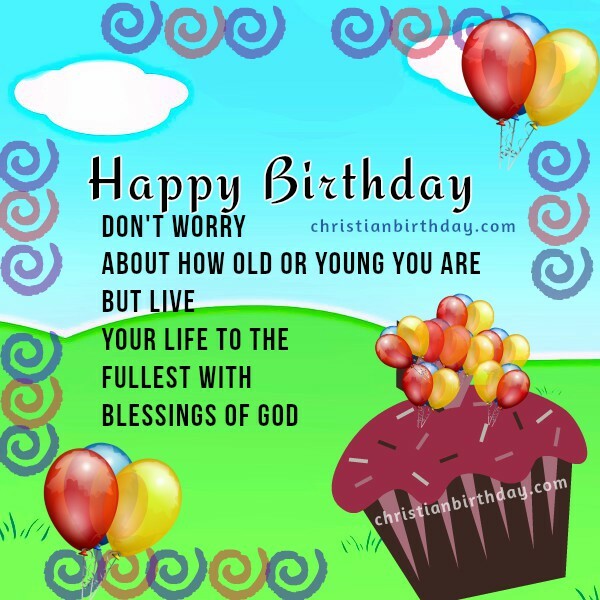 free christian card for Birthday, man or woman congratulations, free image to share by facebook saying happy birthday by Mery Bracho.